One of the most important papers you will have to write in order to obtain your graduate degree is a research proposal. A rather short name for whatever is hidden behind it. A lot of work stands for it and this work requires serious, responsible approach. Putting this into simple terms a research proposal is a draft of an agreement between you and your academic committee as for what you are planning to work on, how much time you will need for it and what exactly is going to be the result of your work. This agreement is rather of scholastic nature and it has no legal power. Your research proposal will have to be approved by your committee. When taking the decision as to whether or not to approve your work, the committee members will take into consideration the following things. First of all, they will try to forecast whether or not the approach you use is reasonable and whether or not you can obtain desirable results. By approving your research proposal your committee members basically agree that they will accept your future result and, therefore, you will obtain your graduate degree. During your research process, you will definitely run across things, which were not foreseen by your research proposal. Well, this is not a big deal really. Your research proposal is, so to say, the core of the research results. Whatever is added to it is quite welcome, as long as it does not contradict the general concept of your research proposal. After the research proposal is approved, both parties proceed to work in accordance with the agreed schedule, contained in the research proposal. In other words, your research proposal is the description of your actions, what you plan to do, and the reasoning, which explains why those actions need to be taken. It also presupposes the explanation of the way, in which you are planning to do it and it should foresee the result, which is expected as a result of such actions. For writing a successful thesis, it is very essential to have a strong research proposal. It is like a schedule, which will lead you through the whole process of conducting research and research paper writing. There are many cases when very strong and promising students fail to succeed in their researches only due to poorly written research proposals. It is important to make sure that it is not going to be your case. How to write a strong research proposal? Well, first of all, it is critically important to be familiar with the subject you are going to write your research paper in. It takes a long time. You will have to read a lot of information, think it over and, in the ideal scenario, discuss your thoughts with other people. Use every possible opportunity to discuss them with those who may seem to be interested in your work. This may finally bring you to the next stage: an idea will be born in your head. With this idea, you will certainly be able to write your research proposal in a very short period of time. However, working on the idea is what you need to pay a lot of time and effort to. An average research proposal needs to be about seven or ten pages long. However, it cannot be shorter than five and longer than fifteen pages. When writing the proposal it is important to observe the citation style you are asked to write your paper in. Doesn't it sound a tad too complex to you? It probably does. But what can you do? Life is life. Writing a research proposal is an integral part of your studying process and you cannot graduate successfully without writing it. To get professionally written papers, you should address Top-Dissertations.com for help. Our team of highly educated writers and editors is always there to give you a helping hand with academic assignments of any complexity. Just fill out our order form and in due time you will have your paper ready. Well, probably you will use the time you save wisely. Meanwhile, you can be sure that your paper is going to meet the highest standards of American/European universities. Do not waste your time. 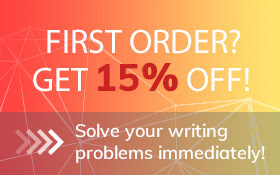 The sooner you place your order with us, the cheaper your research proposal will turn out to be. Get high-quality services at affordable prices. Our services are within a mouse click from you.